The website of RouteYou, www.routeyou.com, is a community website related to recreational routes. 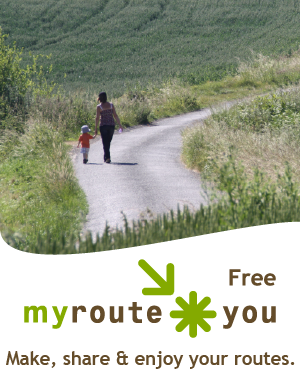 We make sure that you can make, share and enjoy your routes for free. But how can this work? Because you are so many using our platform for free, there are a lot of professional organization who want to promote their services (e.g. lodging, bicycle rentals, restaurants...) or their region (e.g. tourist routes and places) on the platform. To facilitate them, we offer them a great set of extra functionality (not free of charge) with our Premium and Pro accounts, and via our advertising options. With a MyRouteYou Plus account, you can get rid of the advertisement on RouteYou. And you get a whole lot more. Read about it here. Check here what you can do with your Free account. And compare it with the extra options on the Premium and Pro account.